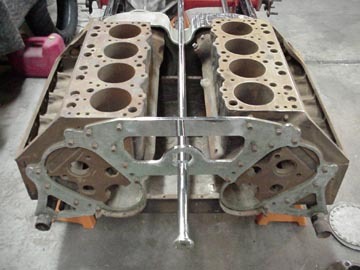 This twin was recently found in a trailer owned by the late Bob Sorrell. Don't have anything to go on other than these photos. Looking for any help in identifing it. while ) and somehow ended up with this car in some sort of trade ( maybe ). If we can recall correctly, this was built by Don Long ( maybe for Leonard Harris's brother, who lost interest ). Here's how I remember the early life of the Vermilya Bros. Dual Engine Oldsmobile Dragster. 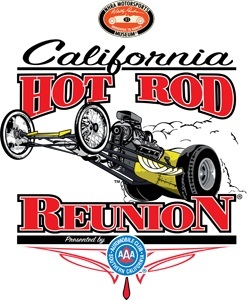 The memories begin in the early 60's in Southern California when, and where, dual engine gasoline dragsters and Engle equipped Olds engines were popular. tunity to build the chassis and I accepted. 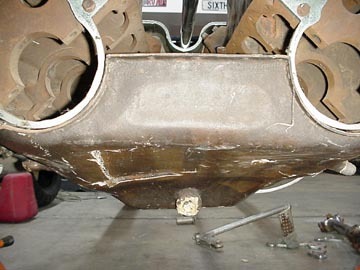 When the chassis and body were finished and the engines were near being finished, the project abruptly ended. This "ending" came about because Hank was tragically killed in an automobile accident. 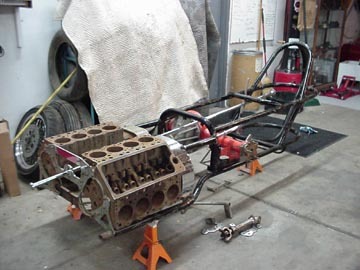 Chrysler powered, single engine dragster. 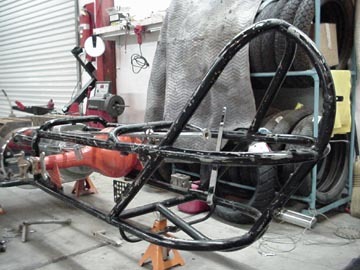 Once again I was given the opportunity to build the chassis and I accepted. 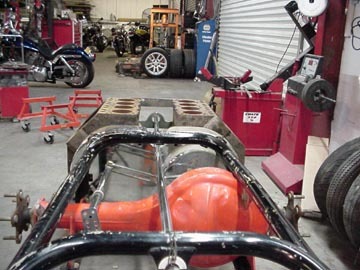 When, or near to, the single engine dragster chassis's completion, Marshall and Vermilya made a trade with Bob Sorell. 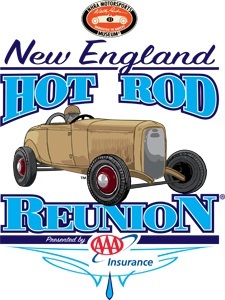 The "Trade" was the Dual Engine Dragster Chassis and Body in exchange for a body for their single engine dragster. 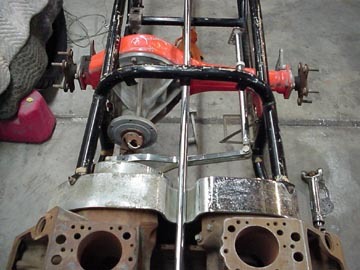 Perhaps a few other facts not particulary related to the Vermilya Bros. Dragster, but of historic value are what happened during the construction of the "Marshall and Vermilya " fueler. 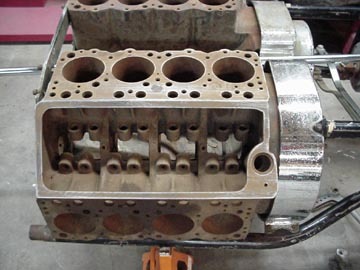 Dave and I assembled one of the Olds engines and put it in my Fiat Altered. We raced the Altered in the "A" class with Nick driving and had only moderate success. 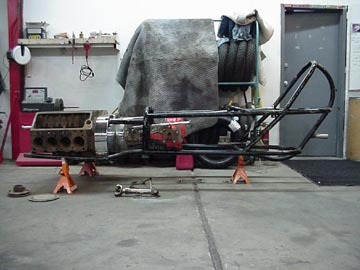 Our lack of success was because of our changing interests - theirs towards Top Fuel and mine towards building dragster chassis. For what it's worth, the Vermilya Bros. Dual Engine Oldsmobile Dragster is serial #2 or #3 of near 200 and the "M & V Fueler" is serial #5. We now know Gary Hatfield had part of the story right - Thank You Don Long for the rest.